Tomorrow, Monday, Sept. 22 is "Car Free Day." 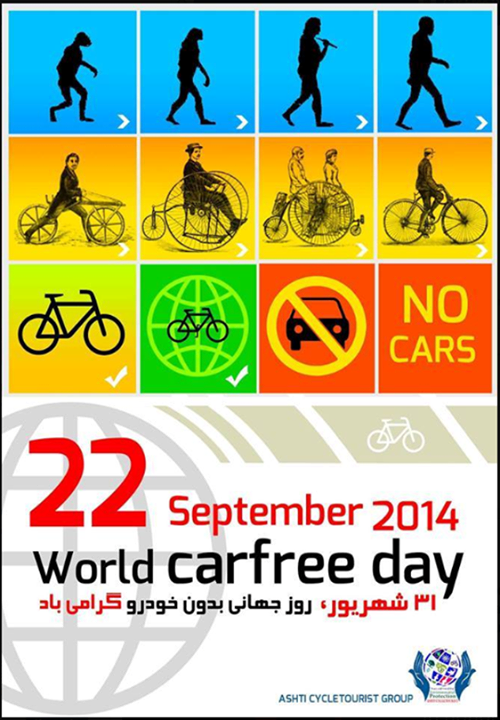 Car Free Day is an international event. On Monday, you can join people from around the world and make a statement to better our planet. Go Car Free or Car-Lite and make a difference by bicycling, walking, teleworking, carpooling or taking transit. To participate in this fun and worthwhile event, all you need to do is fill out the pledge form, then go car free or rely less on your car by going car-lite on Monday, Sept. 22. It’s that simple! Once you pledge, you’re also automatically entered for a chance to win great prizes!